Efficiency and costs are the two magic words of the oil industry today. While just a few years ago the top priority was production growth, followed by more production growth, in the wake of the 2014 price rout everything has changed. It’s all about becoming more efficient nowadays, in order to not just survive but to remain profitable at lower international oil prices. Big Oil is spending a lot of time and money on efficiency. Just the last couple of months saw three separate announcements from Shell, BP, and Baker Hughes, all about lower-cost exploration and drilling. 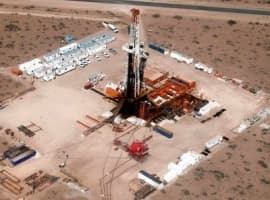 Enthusiasm is certainly in order: one of the biggest challenges for oil and gas explorers is that the earth is quite dense matter and producing a clear image of what lies hundreds—or thousands—of feet below the surface is a tough task. This is what makes exploration a highly risky business and has pushed a lot of companies away from new projects in the last couple years. Now, BP says, it has been able to receive crisp images, basically showing that there is a whole new field below Atlantis. The potential savings that this technology can enable are impressive. Then, just a couple days ago, Baker Hughes showcased what it called “a revolutionary multistage fracturing service” focusing exclusively on deepwater drilling. The DeepFrac technology promises to significantly reduce drilling times and therefore expenses, while at the same time enhancing crude oil yields. 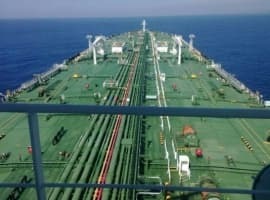 What we are witnessing is a mind frame shift that is already bearing fruit: according to energy analyst and Reuters columnist John Kemp, the Gulf of Mexico accounted for the highest portion of overall U.S. crude oil production increase in the five months to February 2017. The daily average there expanded by 228,000 barrels in the period, while in the shale patch, growth was 175,000 bpd. 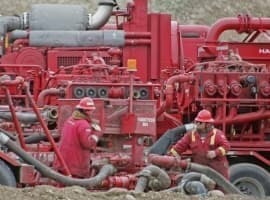 Chances are there will be more breakthroughs in energy in the coming months and years as challenges for oil demand increase in the form of electric vehicles and renewables for power generation, and what some see as the second shale revolution gathers pace, pressing prices down and curbing investment appetites. I would like to see if the average spud to sales time has shortened and if spud completion has remained the same. Its very easy to claim drilling efficiencies by drilling the Paradox in the Rockies (average depth, 10,105 ft, average lateral length 1,094) instead of the Scoop in the Anadarko (average depth, 17,744, average lateral length 5,284). I suspect many of the industry claims are bread crumbs for technologically challenged suits in the banks the Petrol CEOs are hitting up for credit.